Daniel is a Senior Associate in the dispute resolution practice group. He specialises in arbitration, mediation and litigation. With over four years’ experience, he has advised both local and international clients in arbitration, banking and commercial litigation, constitutional law, employment and labour law and land disputes. Daniel has been involved in a number of notable matters including being part of a team that represented Telkom Kenya Limited in a landmark employment dispute arising from a redundancy of 2,600 employees and further negotiating a settlement worth USD 3.5 million. 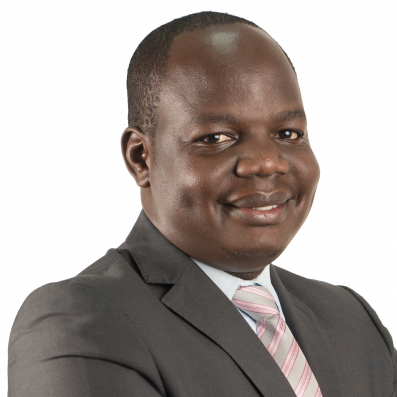 Daniel holds a Bachelor of Laws an (LLB) from Moi University and a Diploma in Law from the Kenya School of Law. Successfully represented a large private tea management agency in an application seeking to set aside an arbitration award of USD15 million where the Court did set aside that part of the award amounting USD 1 million relating to goodwill. Part of a team that successfully represented a construction company in arbitration proceedings, arising out of a breach of a construction contract. The claim was for VAT on the contract works and the cost of additional works and variations. Part of the team that successfully represented Standard Chartered Bank Limited in a rare application seeking to have the Court of Appeal re-open, re-examine and set aside its decision awarding a sum of USD 2 million plus interests at 14% per annum from 1st August 2002. Part of the team currently representing an international company in three (3) disputes arising from the award of a tender and the subsequent execution of a Concession Agreement for the Development and Management of Duty-Free Retail Services under a Single Master Licence at Jomo Kenyatta International Airport. Part of the team which represented Telkom Kenya Limited in an employment dispute and incidental negotiations of USD arising from a redundancy exercise of two thousand six hundred (2,600) employees taking part in the where a settlement of USD 3 million was reached.